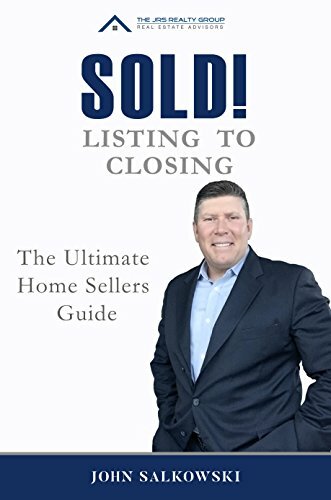 5.0 out of 5 starsThe perfect book for someone looking to sell a home. This book breaks the real estate selling process into useful and intelligent segments. It is packed with questions and answers to guide a potential seller through all of the important steps of selling a home. It uncovers many secrets to make the process go smoothly The tips are extremely helpful and it includes both a dictionary of real estate terms and a guide to home maintenance. As a real estate attorney, I have read many books on the home buying and home selling process. This one is now at the top of my list of recommended books for consumers. From top to bottom, a great book for home sellers - whether it's their first time or their fifth time. Full of useful information most agents won't tell you to step-by-step processes and checklists, it's a must-have for anyone who is considering selling their home - whether it be now or in the future. Dan Kuhn, Transaction Manager and Senior Buyer Specialist for The JRS Realty Group is a motivated real estate professional, recommended and referred by others for his high integrity, trustworthiness and putting his clients first. Kuhn and the team have been recognized as the Top 1% of Realtor's nationwide and has been featured in the Philadelphia Magazine as the local real estate specialist since 2010. Jaymi joins The JRS Realty Group with strong interpersonal skills and a passion for leaving people she meets better than she found them. Jaymi has dedicated the last 17 years to raising her children. She and her husband have 5 beautiful children, including 2 sets of twins. Jaymi has always had a passion for real estate. She initially sat for her real estate board exam in 2002 but put her career on hold to raise her family. She began working for John in September 2017 as his assistant and recently passed the PA Real Estate salesperson board exam in March 2018. Jaymi enjoys working out, competing in cross fit competitions, spending time with her family and dog in her free time. Growing up in a multilingual home in NYC to Chinese and Vietnamese first generation immigrants, I watched my parents work hard to attain the ultimate American dream, owning a home where they would raise their children and have it filled with hopes and and dreams for a better tomorrow. Watching my parent’s pride the day they closed on their home is forever etched in my memory. Witnessing all their hard work and sacrifice molded and made me the human being I am today. Their tough love and guidance shaped my core and foundation. A foundation built on honesty, respect, integrity, setting high goals and even higher standards, laugh, be kind, and live a full life. 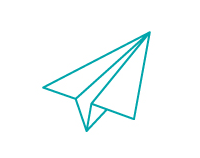 After relocating to Pennsylvania and leaving a successful career in the advertising industry, I found another successful career in Aviation Operations & Management. However, over time I wanted to explore a profession that would bring me back to my foundation. A foundation built on all the core values that were instilled in me by my parents and have never steered me wrong. Working in the aviation industry not only exposed me to a very demanding affluent group of individuals, it also further educated me on paying closer attention to what my clients really wanted and expected but most importantly, what they didn’t want. Their high expectations and demands only drove and encouraged me to further raise my own standards so no matter what their expectations were, they were never disappointed. Discovering the real estate profession is the perfect path that combines my core values and my extensive experience in customer satisfaction. I am inspired on a daily basis to better my own life and of those I come across. My biggest inspiration and motivation is helping as many people find their perfect home and seeing the pride and joy that comes with home ownership, just as I saw with my own parents. In my spare time I enjoy crossfit, cooking, gardening and simply sitting on my deck with my husband and living our own American dream. Shirley is a practicing workers' compensation attorney with over 15 years of experience. Shirley brings a wealth of knowledge & expertise to our firm. Her passion for real estate & helping others find their dream home could not keep her away from making a transition. Shirley is dedicated to leaving people she touches better than she found them. In her spare time, she enjoys Cross-fit and spending time with her family, friends and dog. Melissa is joining The JRS Realty Group as the office Executive Assistant after spending the last 15 years as an administrator in the veterinary community where she established a true passion for rescued animals. Melissa has an associate’s degree in business administration and is looking forward to advancing her degree further. Melissa and her husband have two beautiful daughters and reside in Bridgeport. Melissa enjoys reading, cooking and spending time gardening. John did a fantastic job. I had previously tried to sell the house through another realtor for several months who didn't seem to understand the area as well as the uniqueness of the house. That was not the case with John. He understood how to price and market the house accordingly. I had constant foot traffic while the house was on the market. John sold our home in records time. I would highly, highly recommend him to anyone trying to sell a home in Delaware county! Thanks John!! We originally listed the house with another agent & she wanted to keep lowering the price but the house never sold. It was listed for several months with this agent from a large franchise. We interviewed & hired John and Dan on the spot. They immediately went to work helping us prepare the home before it hit the market. They helped with painting the basement floor and marketing our house to get it sold fast. John and Wesley exceeded our expectations by selling the house within a week! They handled all of the negotiations through the inspection process and things went smoothly to closing. I felt confident they could deliver on their promises and in their level of expertise. They gave us peace of mind throughout the sale and were always very responsive. I would recommend them without hesitation. Now we can move on with our lives thanks to them. 5 Stars all the way! John and Dan went above and beyond. We trusted their advice in preparing the home for sale and they even spent a Saturday morning helping us work on our house. John and Wesley sold our home in 1 week for 99% of asking price after sitting on the market with another realtor for 6 months. How's that for results. We highly recommend these two professionals! John took over my listing after a big name realtor company closed their doors in my area just weeks into the process. I called John the same day my previous realtor went AWOL. John was at my home early the next day. We sat down and John assured me he could take care of everything from listing to closing and everything in between. From the moment I met John I knew he was of man of excellence and honor. Traits not usually found in a realtor. His professionalism and knowledge of real estate far exceeded any of his competitors. I left my home in Johns hands and moved out of state. John kept me updated weekly on showings, local price averages in my area and suggestions on how to improve our listing. Before I knew it John had my home sold at a great price. I returned for the closing just so I could thank John in person. John is a person to be trusted with your home. He treats your home as if he was selling his own home. Your Friend Always! Experience the stress-free way of selling your home, knowing that your sale is guaranteed. We are so confident in our marketing at The JRS Realty Group Real Estate Advisors that if we are unable to sell your home at a price and deadline that we agree to, we'll sell it for free! The JRS Realty Group uses a proven system for selling homes that creates more demand and gets homes sold, fast! Let our aggressive marketing approach give you the upper hand in today's competitive real estate market, so you can get maximum value for your home in the least amount of time. Your Home Sold in 45 Days or Less Guaranteed or it's Free! When it’s time to sell your home, the typical area real estate agent will follow a three step process: 1) a "For Sale" sign is placed in the yard, 2) the listing is placed in the MLS, and 3) the agent hopes a buyer comes along and buys your home. It’s a sad fact in our industry, but times have changed. What worked in the past doesn’t always work now. You need to hire a real estate professional that will employ a proven process to guarantee proven results. Do you know how to prepare your home to sell for top dollar? Do you know how to drive buyer traffic to your home (and drive up your home’s value)? Do you know how to attract and capture buyers that might be a fit for your home? Do you have a plan to negotiate from a position of strength to get maximum value for your home? If you have been asking yourself, "how will I sell my house" and haven't come up with the right answers, it's time to give our company a call. We are the Greater Philadelphia Area’s premier real estate team, specializing in helping sellers get top dollar for their homes. In fact, we are so confident that our process works that we guarantee our services and give you the right to fire us for any reason if we aren’t getting the job done. Don’t worry, you won’t need to do that, because we get results for our clients. Our goals are aligned: we will help you sell your home for top dollar in the least amount of time, and make sure you don’t have to deal with the usual hassles involved in the home selling process. The JRS Realty Group follows a 7 step process to ensure the best results for our clients. These 7 key drivers are essential for a successful home selling process. These key drivers allow our realtors to market your home for maximum exposure to bring in the most interested buyers. Once we have found a buyer, we will be to use the right negotiation tactics and strategies to successfully close the deal. Execute: Dedicated team support - every professional at The JRS Realty Group is a critical part of the selling process. In a perfect world, real estate agents wouldn’t offer lip service when it comes to their actual production and results for their clients. They would lay all the facts on the table, show you their proven process and proven results, and let you read stellar testimonials from their happy clients. Then they would let you decide whether to list with their company, without putting any pressure on you during the listing presentation. They would also be sure that they could get you the maximum value for your home. So sure, in fact, that they would offer satisfaction and performance guarantees as well as a listing cancellation agreement in case you weren’t satisfied with their services. This is not a fantasy when working with The JRS Realty Group! If you choose to utilize our home selling services, you can sell your home with the dream scenario described above. The Exclusive Maximum Value, No Hassle Listing System is designed for sellers to keep more money in their pocket while receiving world class service from our team, all throughout the process of selling your real estate in Charlotte, NC. We are so confident that you will be completely satisfied with our services that we offer several unique benefits with our listing system. We don't constantly bombard you with hard selling tactics to get you to list with The JRS Realty Group. As professional Realtors in Greater Philadelphia Area, we present our services with complete transparency, and we back up our claims with proven results. This allows you to make a sound, unbiased decision that is in your best interests when looking for a qualified real estate agent to sell your home. It's rare that we have a client that is unsatisfied with our services, but to give our clients peace of mind, we offer you our Exclusive Easy Exit Listing Agreement. If you are dissatisfied with our services at any time for any reason, then fire us! You won't be locked into any long term listing contracts like most agents. You've heard the saying about putting your money where your mouth is. We do exactly that with our listing services for sellers. We are so confident that we can sell your real estate in the Greater Philadelphia Area, that we offer our Exclusive Performance Agreement for Sellers, where we will pay you cash if we don't deliver the services that we promised. It's as simple as that. Most agents over-promise and under-deliver...but not JRSRG. We are so confident in our services that we put our money where our mouth is. Our Seller Satisfaction Guarantees make sure that we deliver on our promises - or we pay you cold hard cash! Selling your home shouldn't be stressful, and you should get the highest level of services possible from your listing agent. Here at JRSRG, we stand by our Maximum Value, No Hassle Listing System because it’s simply the best option for home sellers in the Greater Philadelphia Area. It’s a proven process to successfully market your home, bring in the most qualified buyers, get the highest price possible, and close the deal with the least hassles. Contact The JRS Realty Group today to find out more about our proven process and results and why we are the top realtor in the Greater Philadelphia Area.